Another week and another batch of cool rendering-related content from around the web. Enjoy! This list is awesome! Hill provides a single stop for links to papers, courses, talks and more that went on at SIGGRAPH this year. It’s a great resource. Here’s his 2014 list as well. There is so much to love in this story: futuristic technology, a passionate geek, Mother Nature reminding us how badass she can be, and some really amazing renders. I’m not sure how much to care about this. I’m an Android guy, but the technology patent filed with the U.S. Patent Office describes taking 2D images and video and creating the illusion of 3D depth. Not sure when this will come into the market, and it sounds a lot like RealSense that was unveiled by Intel recently. But I’m all for advancements in how images and video are rendered. It would be cool if this technology made it to phones and tablets in the near-future. That’s it for this week. If you’ve got something you think should be covered, the add it in the comments. As always, there was a lot of cool stuff on the web this week. Here are our favorites. An interesting project by one of the designers we love to follow. 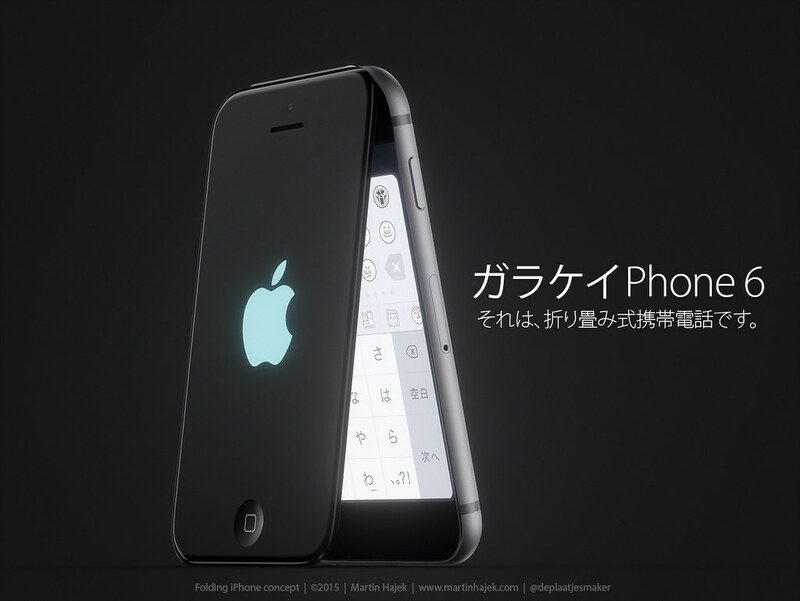 Hajek’s renderings of an Apple Flipphone may seem retro, but the design is very much in-line with Apple design sensibilities. I like this because it seems to simultaneously look both forward and backward for inspiration. As always, Martin provides some great renderings to help us really understand the concept. Pay special attention to the use of materials and lighting. His work always offers lessons for product design rendering. I don’t usually include our content in this roundup, but v1.1.6 is a big deal. It includes our first ever integration for Mac. Sketchup for Mac users now have a built-in FluidRay integration allowing them to easily import, edit and render. Checkout out the blog post to learn more, then give the demo a try. I came across this on Friday and had to share it. We have to give credit where credit is due, even if they aren’t made using FluidRay. 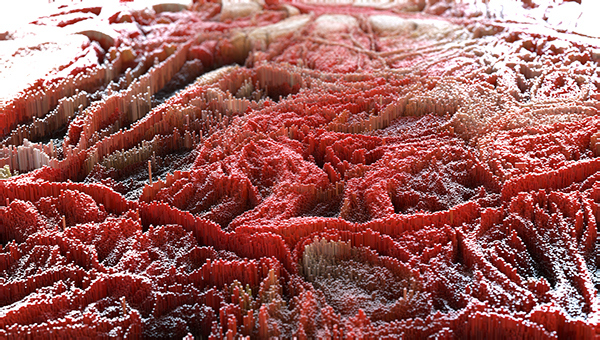 Griggs uses Maya and Arnold to get these amazing multicolored, extremely complex renderings. On his site, Griggs points to several tutorials and offers a few points about his process. Many of the images look like something from a sci-fi novel. You’re not sure if you’re looking at nature or someones interpretation of a Heinlein novel setting. That’s it for this week. Check back next Sunday for another roundup. If there’s something you’d like us to cover, then share in the comments or on social. We just released FluidRay RT 1.1.6. You can get it here. Here’s the rowdy, relevant, relentless & rare rendering we rounded up for you this week. Enjoy! The video discusses a new method for handling render noise via machine learning/AI. The process is well diagrammed in the video and I can see this having huge potential, though I can’t imagine the processing power required. Please watch the video and let us know what you think about this process in the comments. HT to Seghier Khaled for posting this to our Facebook page. Joe takes his cue from a video posted on YouTube showing how good CGI is essential to creating the best scenes in the movies we love. You might immediately want to disagree, but I think there is a lot to this. But the great CGI effects in movies like Avatar, Terminator 2 (for it’s time), any of the LOTR movies or Mad Max: Fury Road doesn’t come to mind very quickly. Those movies worked so well that the CGI never stands out, and so we praise the movie instead of praising the effects. That is the point of the article by Joe and the video essay that he cribs the idea from. That’s it for this week. Thanks for dropping.